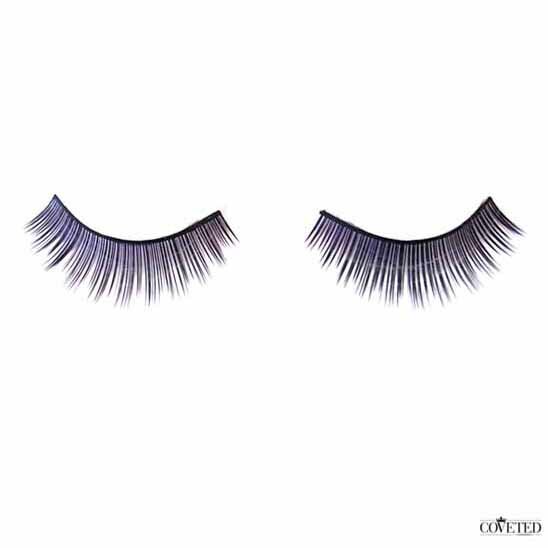 Knockout false eyelashes create an intensifying effect. Knockout false eyelashes create an intensifying effect by combining hand made medium to full density smoothed lashes. Formed with varying long lengths for an, these lashes will sure give you the perfect TKO lashes you’re looking for. Many of the customers that shop on our Coveted Cosmetics online shop often are concerned about false lashes falling out. If you are planning to wear your fake eyelashes for a long time make sure you take the proper precautions so that they don’t fall out easily. First of all, make sure that you have a good eyelash glue and also ensure that you are placing enough glue especially at the ends of the lashes. Then make sure that close your eyes long enough while the glue is drying so that it doesn’t move around. Lastly you can always carry some eyelash glue in your purse so you can touch up if you need to. Some customers also have concerns about removing false lashes. The common misconception about removing fake lashes is that it would be painful when it is not the case. Removing fake eyelashes can be quite simple and painless if you do it the right way. If you are doing it for the very first time perhaps seek the help of a professional or observe someone else doing it before doing it on yourself. You can also look for video tutorials on the internet to show you how to remove fake eyelashes properly.